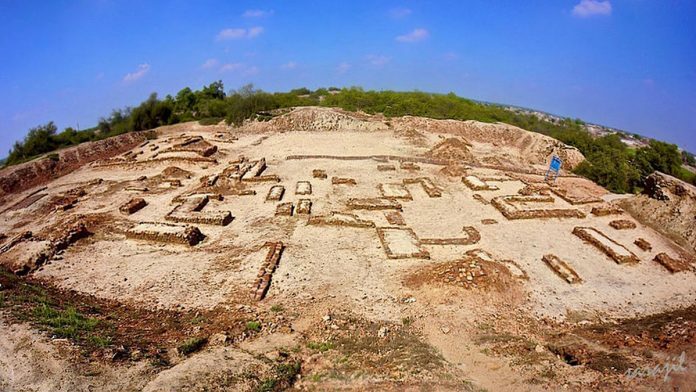 Was climate change responsible for the decline of the Harappan civilisation? The Indus Valley Civilisation was one of the oldest three civilisations on the planet. Archaeological evidence shows that the settlements in the area were surprisingly advanced – with evidence of sophisticated drainage management systems, long-distance trade, and systems of writing. They were at their peak in the Bronze Age. The civilisation, however, completely disappeared in 5,000 years. A new study now examined the seabed off the coast of India and Pakistan and has shown that one of the most important factors that likely caused the decline of such a rich culture was climate change. Read ThePrint’s story here. Beyond just direct killings and devastating natural disasters, climate change strikes in several invisible ways. Researchers studied the effects of sperm production and survival in flour beetles and found that heat waves cause a significant reduction in the production and survival of sperm. While heat waves didn’t directly affect the female reproductive system, it did kill inseminated sperm inside female beetles’ bodies. The researchers believe that this could be one of the potential explanations for why the insect population has declined by nearly 75 per cent in the past three decades alone. More in The New York Times. Scientists studying the movement of ice in Greenland have discovered a 31 km-wide crater under the ice. The crater is now one of the 25 biggest craters we’ve found on earth. Naturally, the first assumption we make is that it was formed by an impact from an extraterrestrial source, likely a meteorite. But this might or might not be true. Huge impacts like these cause global effects that leave identifiable signatures, but we haven’t found any. More in the Scientific American. On Wednesday, the GSLV Mk-III took flight in what was its second developmental flight. It successfully placed into orbit the giant GSAT-29, an advanced communication satellite that will improve connectivity in Jammu & Kashmir and Northeast India. The rocket is expected to carry the upcoming Chandrayaan-2 mission to the moon, and eventually, India’s first astronauts as well. More about the significance of the satellite and the rocket in our report.